The Kubota 7pc Mini Screwdriver Set is made to get the job done. Constructed of heavy-duty material and designed to be pocket sized. Perfect for small projects. 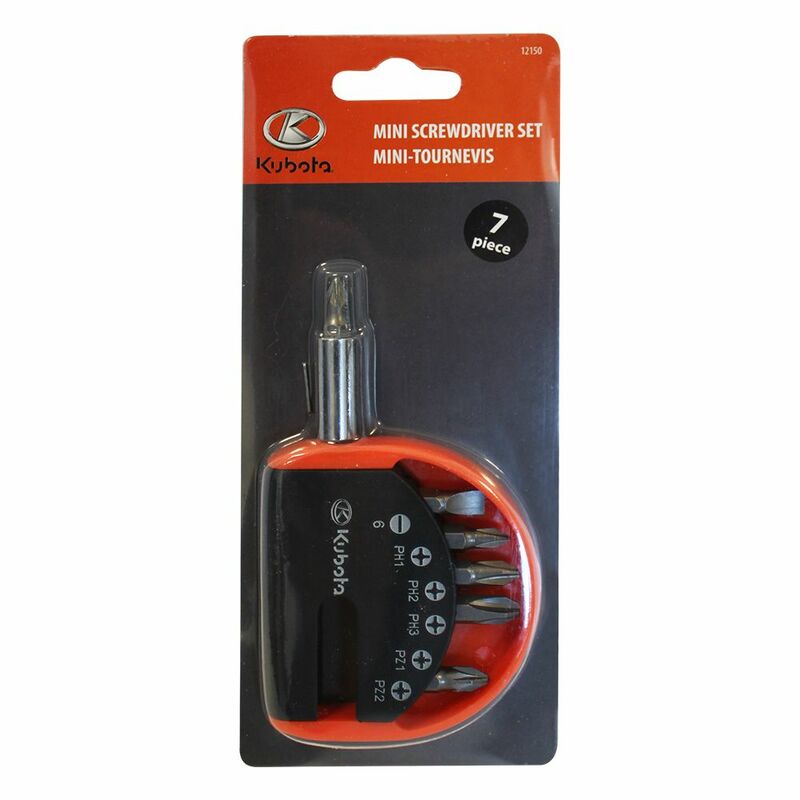 7 pc Mini Screwdriver Set The Kubota 7pc Mini Screwdriver Set is made to get the job done. Constructed of heavy-duty material and designed to be pocket sized. Perfect for small projects.